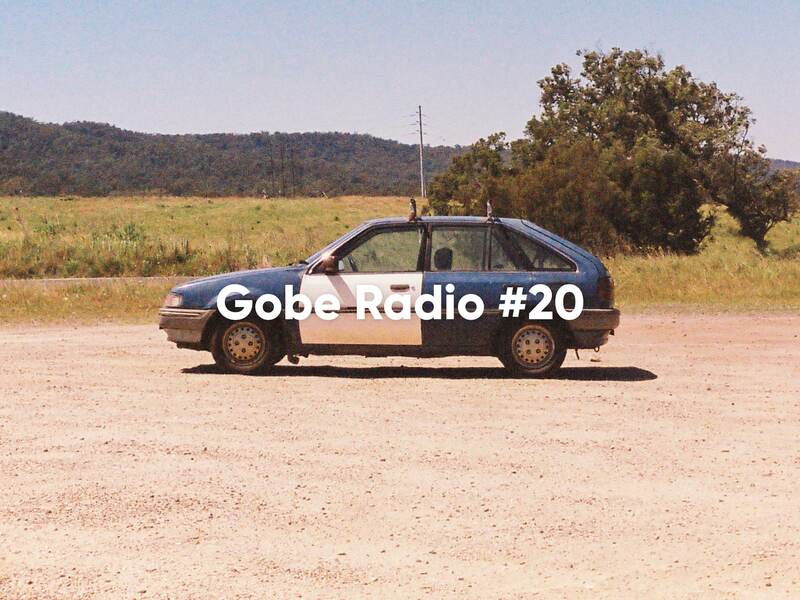 Welcome to Gobe Radio #20 – The sound of summertime sadness issue. The broadcast HQ for Gobe Radio is in the throws of summer delight right now. 21 days over 40 degrees in January made for a sweaty, sticky, delight. Meanwhile, in Ely, Minnesota the wind chill factored temperature was at -48 degrees Celsius, something is amiss, a horribly scary miss. To give those stuck inside hugging their heaters and burning their furniture to stay warm, Gobe Radio #20 is a little summer heatwave escape. For everybody else sweating away, it’s a regular soundtrack to sweltering heartbreak. Carla dal Forno will set you up to bring you down. A lulling melodic pull into the hot night, pop soaked car seat lovers. The Astral Plane Parade washes over and drags you under, defrosting in the sun by the swimming pool, we recommend more Astral bedroom pop delights here. Yves Tumour, Elliot Smith (Forever and ever Elliot) Aldous RH and Aztec Camera swelter alongside you. Best Coast shine bright a Summer Mood, warming you up for some Twangy Guitar with Duane Eddy. Duane’s twangy vibrations will pulse right into your frozen bones and massage you back to life. By the way it’s impossible to listen to this song, loud and with headphones, and walk with you natural gait. Even San Francisco with it’s perfectly temperate highs of 14 and lows of 12 has flash flood warning, maybe you’ll to get to swim in Grace Cathedral Park with the Red House Painters. Arthur Russel might join you, Lyn Christopher and Shintaro Sakamoto too. Wouldn’t that be just swell? Sakamoto wooing you from the steps of the Cathedral as you bob about in an inflatable flamingo waiting for summers sweet return. Where ever you’re freezing or frying, look after yourself, make great photographs of natures extreme forces and have a good time. Please enjoy Gobe Radio #20 Subscribe to the Spotify if you like, give Sakamoto a call, get him over for an acoustic gig, have a nice time. For more meandering observations and previous editions of Gobe Radio click your way over here.